You want smart people working for you—that much is a given. But as a manager or business leader, team dynamics also take shape (or don’t) on your watch. Sometimes hiring the smartest person in the room isn’t always the best idea—not because you need to protect your ego, but because it takes more than one person’s outsize intelligence to succeed. So before you hire, take the time to understand—at a technical level—what goes into each role you’re trying to fill. That doesn’t mean mastering a new field altogether, of course, just being sensitive to its basic workflow and processes: What are reasonable deadlines for developers building a website from scratch? What will a marketing department need in order to get the job done? This will help you stay clear about your own expectations and communicate your objectives effectively. The last thing you want is someone taking advantage of you because you simply don’t get what goes into their work. Sure, you want someone who’s brilliant in their field, but they’ll need to know you understand what they do—or at least try to—otherwise you risk undermining your own authority and the cohesiveness of your team. It’s important to strike a balance. You certainly don’t want to hire people below your intelligence because you feel threatened by employees who are smarter than you. On the other hand, don’t just hire smart people for the sake of hiring smart people. 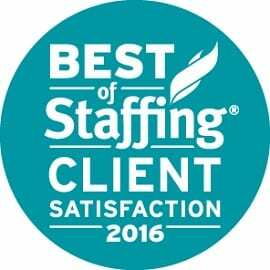 The best rule of thumb is simply to recognize that your job as a manager is to harmonize all types of employees in order to create a productive team. That may well mean hiring people who are smarter than you—as long as they match your culture and overall business needs, not just your technical ones. Utah’s bright young women have dim prospects for equal pay. The state’s infant girls may have great-grandkids by the time they start earning as much as their male counterparts, a new report concludes. If the current rate of progress since 1959 holds steady, the gender gap will close in 2102, according to a national “women’s employment and earnings” review from the Institute for Women’s Policy Research. The projected 87-year wait earned Utah a “D” and landed the state in 39th place. Other elements factored in, including the rate of women in the workplace, their pay and the likelihood they will become managers. Those pieces form “a real linchpin of well-being for the entire state,” said Anne Burkholder, CEO of the Utah YWCA. Utah slipped two spots from a 2004 version of the study, but earned the same letter grade as 10 years ago. 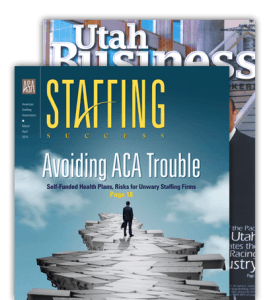 Improving the grade would help attract more businesses to Utah, said Ema Ostarcevic, CEO and founder of Search Group Partners, an executive recruiting firm based in Salt Lake City. 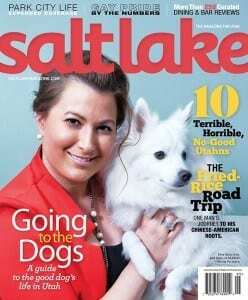 Ostarcevic, who runs an all-female management team, said she returned home from New York City to help draw more women to Utah’s high-power jobs. “It’s not necessarily that there’s a scarcity of talented women,” she said. But male executives are more likely to appear in news coverage, Ostarcevic added, and few women find female role models in management positions. The report isn’t all bad news. Among employed women, Utah has the highest rate of part-time workers, at 40 percent. That could help explain the pay gap, Burkholder said. 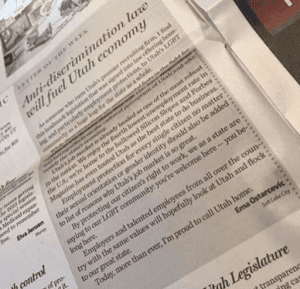 On the dollar • Utah women earn 70 cents to every dollar a man earns. That’s less than the average female employee in 26 other states. Washington, D.C., took first place, with women bringing in 87 cents to every dollar earned by male counterparts. West Virginia took last place with 67 cents. 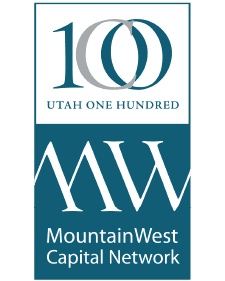 Lost earnings • In Utah, an average working woman loses enough money over a lifetime to pay for a Park City condominium — starting at about $530,000 and rising to $800,000 when only women with college degrees are considered. Management • The most recent data available show nearly 3 in 5 Utah women are working. Despite ranking in the middle of the pack for women’s earnings, the state claims a dismal 36th place for its slice of professional and managerial jobs held by women — about 2 out of every 5. Dead last for STEM • Female workers in Utah are four times more likely to be service workers than they are to be engineers, mathematicians, scientists or high-tech workers. Utah is at the rock bottom of the pack for its proportion of women working in jobs in STEM fields — science, technology, engineering and math. The national snapshot is one part in a larger IWPR 2015 series called the “Status of Women in the States.” Further reports due out this year are set to address topics such as poverty, safety, health and political involvement.